If all stays the same as Missoula grows over the next 20 years, the city would need to add 414 miles of new roads to meet the demand of urban growth, and housing prices would continue to climb. Building single-family homes would occupy open space at an average rate of two housing units per acre and the car would reign supreme, adding traffic to already congested roads. The scenario, dubbed “the trend,” is one of three projected by a team of urban planners using newfangled software designed for such purposes. That status-quo future would implicate everything from local taxes to the cost of providing the most basic level of service. Steinberger is one member of the Dover, Kohl & Partners consulting team contracted to rewrite Missoula’s Downtown Master Plan. In the process, the consultants projected three growth scenarios and how they would impact everything from housing costs to transportation, taxation to water use. While maintaining the status quo foresees urban sprawl and congestion from the Wye down through Lolo, it also projects a different future. 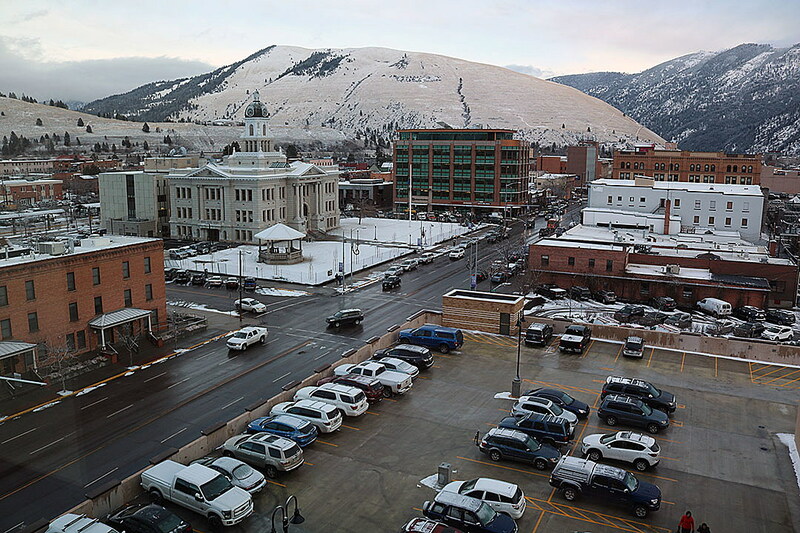 What would happen if 10 percent of all county growth was focused in downtown Missoula? Steinberger called it lofty, but not impossible. Two growth projections include the status quo on the left and a downtown focus on the right. 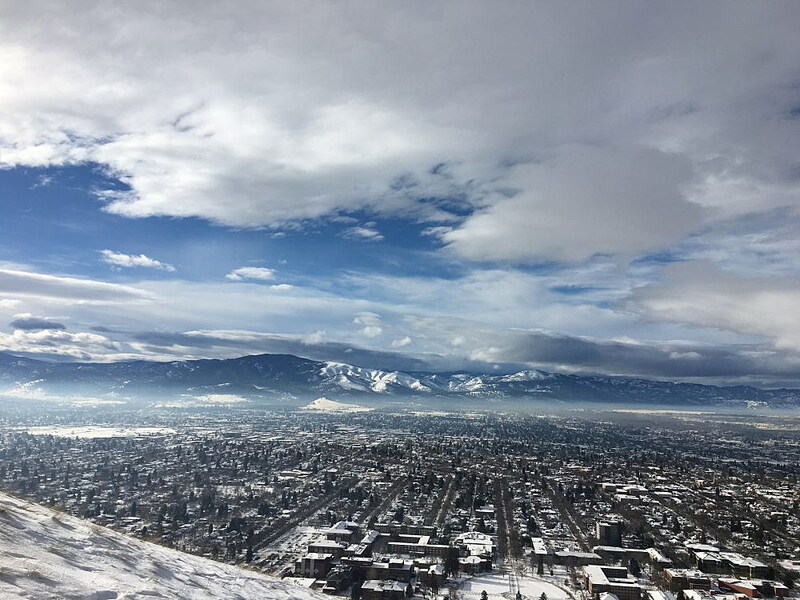 How Missoula grows over the next 20 years implicates everything from housing costs to taxes. Back in 1994, Reserve Street was still a two-lane farm road and Albertsons emerged as the first national retailer in what had been an open field. Nearly a quarter-century later, Reserve has expanded to a five-lane highway and is home to a congested retail center. Housing now spreads west of Reserve and some residents have come to lament the resulting traffic. Since 2000, the land area of the city has grown 25 percent, with much of that growth to the west and south of the city. Between 2008 and 2017, Steinberger said, nearly 55 percent of all housing permits occurred in areas annexed since 2000. Under the status quo, which continues to unfold – the city annexed 3,200 acres west of Reserve last month – a family would need an income of $124,000 to afford an average home. But with a concerted focus on downtown, Steinberger said, the price falls to $77,000. And those larger houses on larger lots are more expensive and consume precious space in a valley where space is limited. In contrast, he said, smaller, denser housing tends to be less expensive. A downtown focus on future growth brings other benefits as well, according to Steinberger. The amount of water used by an average household drops from 349 gallons per day under the status quo to 106 gallons with a downtown focus. Under the status quo, the property tax per acre stands at $7,100, though it climbs to $15,600 with a downtown focus. That’s significant where public infrastructure is required. Under the status quo, the city would need to add 414 miles of new lanes compared to just 228 under a downtown focus. While taxes and economic vitality could be at stake, housing and land use may carry the largest implications. Under the status quo, more than 19,000 single-family homes placed on large lots would fill the landscape, resulting in just two housing units per acre. Under a downtown focus, roughly 5,000 single-family homes would result, and the city’s housing density would rise to 7.4 housing units per acre. Downtown housing will likely emerge as a priority as the new Downtown Master Plan takes shape, and the timing may be significant. Housing prices in Missoula have reached a record high, with the median price of a home now selling for $300,000. With Millennials coming into their buying years, national statistics show they prefer urban living within waking distance to amenities.